If you want to see the video without reading any of my additional thoughts, scroll to the bottom of this post. Let me make it clear that I do not consider myself a guitarist. I know a good number of chords, I know individual notes when I refresh my memory, I know some strumming and plucking patterns, I have led worship with only guitar (it has been a while), and I have taught classroom guitar at the high school level. I’m horrible at barre chords, and with a real guitar, I often use a capo to change keys to avoid those barre chords. I think it is safe to say that I know all the I need to know to teach guitar and to enjoy picking up the guitar from time to time. 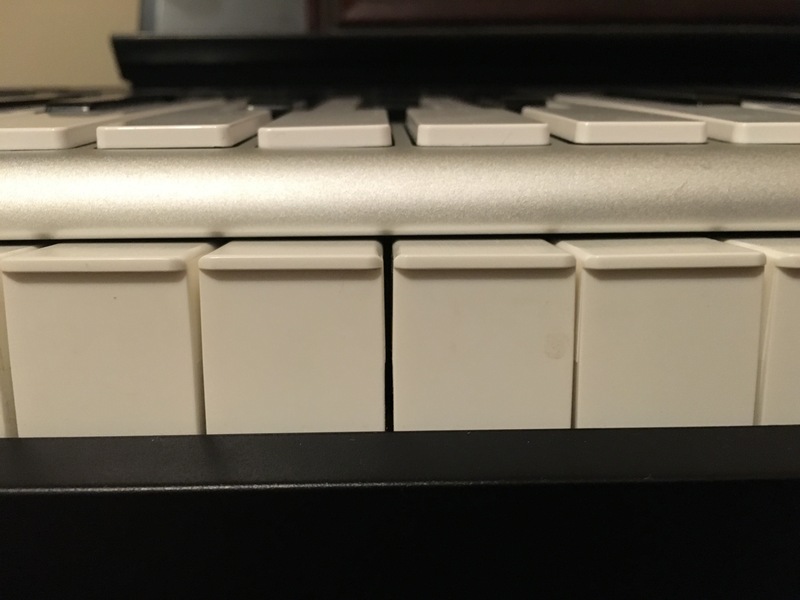 My last post shared my first thoughts on the JamStik–and I had promised that I would post a video I had made earlier that day when I had finished editing it. Well, the editing is done. This isn’t a great video. It turns out that my audio on my MacBook was set too high. I was filming the video in just one take, so there are a bunch of edits that are clearly edits after editing, and I never really “closed” the video. When I filmed the video, I had just downloaded Jam Tutor (one of Zivix’s free apps that comes with the JamStik) and started playing with the app…and I simply lost interest in filming the end of the video and just played with the app (for example, Jam Tutor wouldn’t recognize a D7 chord, which simply amazed me, when so many other chords are programmed in). As a result, the video ends with a Star Wars scroll. Otherwise, the video effectively captures my thoughts…how to set up the JamStik, how to use it with other apps, the couple of flaws I can see (the strings aren’t tuned to guitar pitches, so if you play you can hear “wrong” notes on the strings, even though the right notes play through the iPad), and there’s no way (right now) to “Capo” (can that be a verb?) the device. A fellow JamStik purchaser (I think his is arriving soon), Kevin James Stafford, recently mentioned (on Twitter) that he had been in touch with Zivix and that the capo ability should be coming in a future firmware release. Another JamStik purchaser, Joseph Argyle mentioned (again, on Twitter), that the JamStik can’t be used for hammer-ons, pull-offs, and slides. I don’t know if I will ever need these, but it’s clear that the JamStik isn’t meant to be a pure replacement for a guitar. Or at least not this first model. I would imagine that harmonics are also impossible. 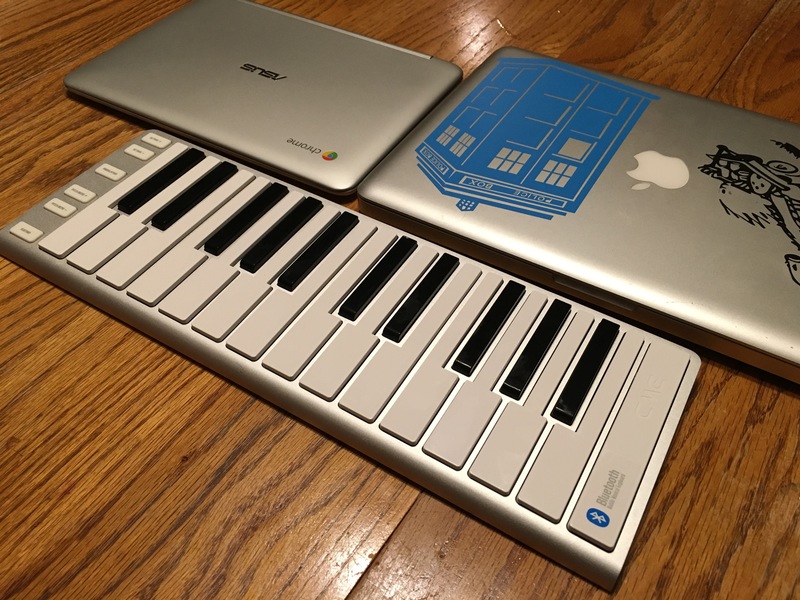 At the same time, here’s a way for guitarists to get MIDI data directly into a computer, with no compromises. I loaded up Notion for iPad, and sure enough, it interprets data directly from the JamStik. Were I PreSonus, I’d been inking package deals with Zivix right away (or vice-versa). If you are a guitar player and only a guitar player, you might find that PreSonus’s Progression is a better app to purchase for notation purposes. Remember that guitar is at the heart of PreSonus’ Notion products, and Progression is guitarist’s version of Notion. I have not yet tried the JamStik with my MacBook (there is a free download available via the JamStik website), but I have no doubt that the JamStik will work perfectly with my MacBook. At any rate, in terms of music education, a classroom guitar with case costs $150 or more (probably more–from personal experience, don’t buy a classroom guitar without a truss rod. The JamStik, incidentally, has two), plus there are upkeep fees, need for storage, and other costs. In comparison, the $299 price tag of the JamStik isn’t far off from what you would expect to pay for such a device. A decent backpacker guitar (I bought one of these for teaching guitar…it simply isn’t as unwieldily in the classroom) is in the $200 range (sometimes more, sometimes less). 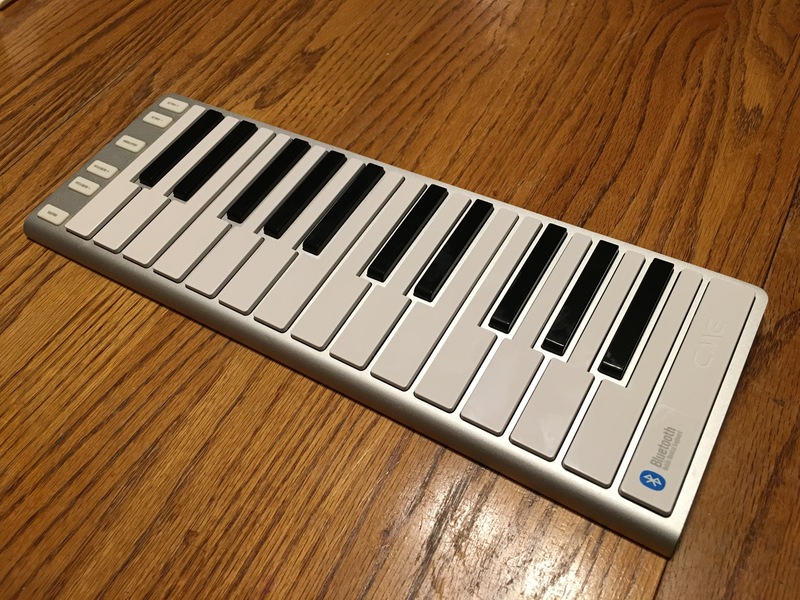 For a device with IR sensors and a Wi-Fi hub embedded inside of it, I see the JamStik as a fairly priced product, although I hope there can be an educational discount in the future. 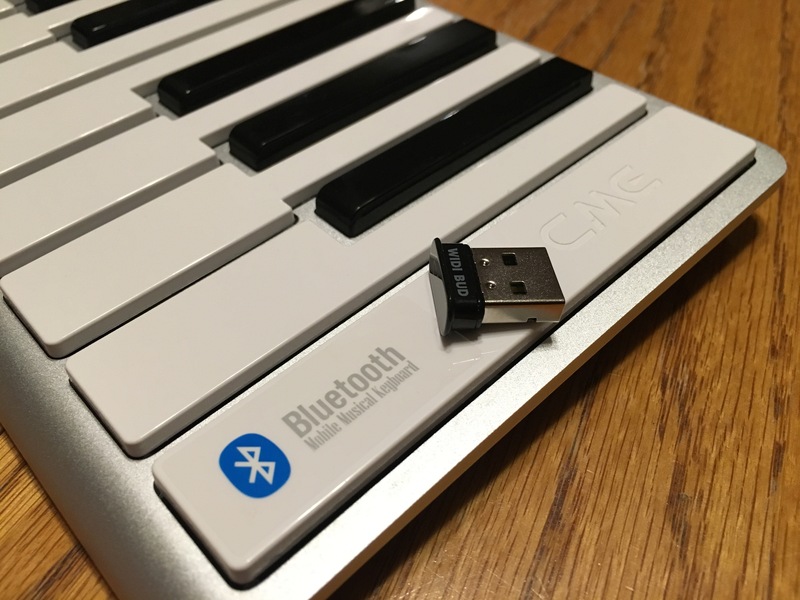 I also need to find out what happens when several JamStiks operate in the same room (do they all share the same embedded network name and channel), and if the JamStik can be operated by USB connection if necessary (all future tasks to try). As a side note, I also just came across a product called PocketStrings, which is simply a portable guitar neck (4 or 6 strings), and I see this as a possible solution for practicing without a JamStik at home (for example, if you had a classroom set of JamStiks that you wouldn’t send home with students). I think this device has huge potential for music education, and I am curious to see what “real” guitar players think, and how it can be incorporated into a “traditional” guitar classroom. 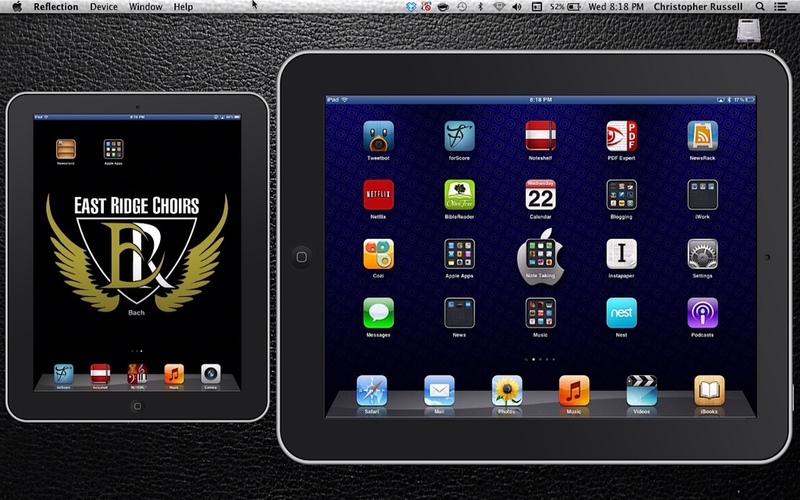 What do I need to use Reflection to Display iPad(s) via AirPlay and an AdHoc Network? 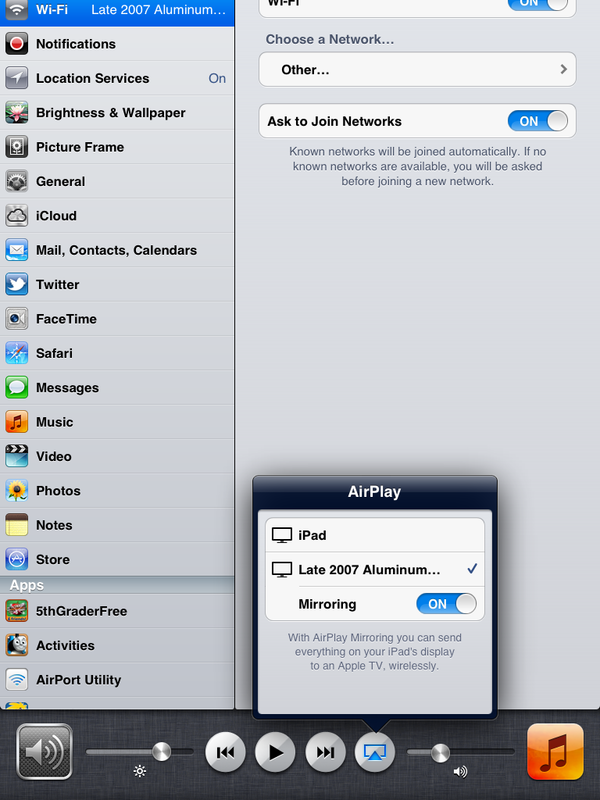 Why would I want to use Reflection to Display iPad(s) via AirPlay and an AdHoc Network? 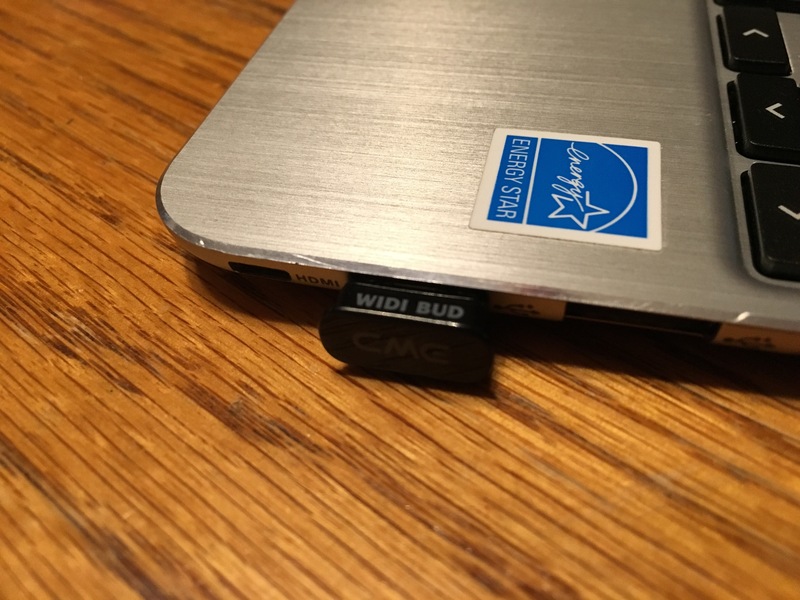 A Mac with Wi-Fi. PCs can create AdHoc Networks, too, but it is a much more involved process. MacBooks, Mac Mini, etc. Why would you want to use this setup? 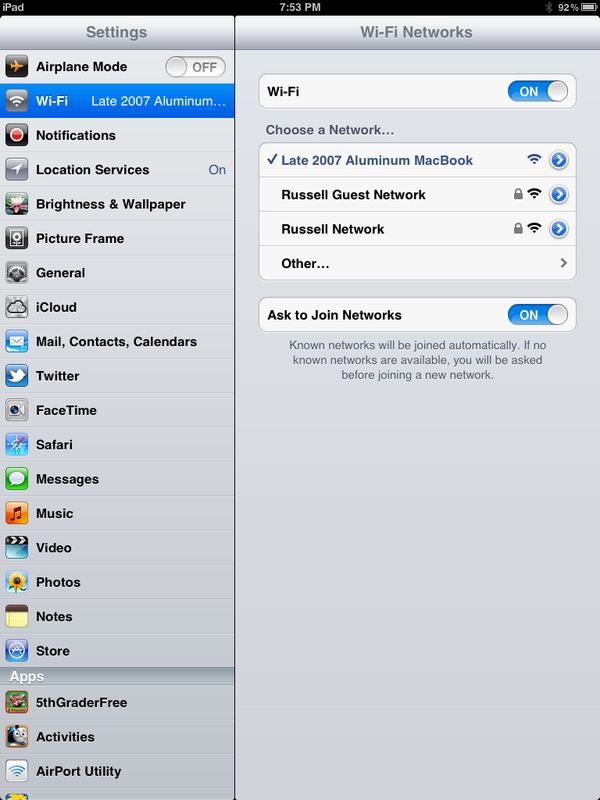 You are a teacher with no wi-fi in your room, but would like to use iPad mirroring, and you have a MacBook. You are a teacher in a school with wi-fi, but there may be limited bandwidth or too many users to allow you to effectively mirror audio and video. Your district doesn’t want you to use wi-fi for mirroring, but you still want to–and they won’t let you bring in a router. 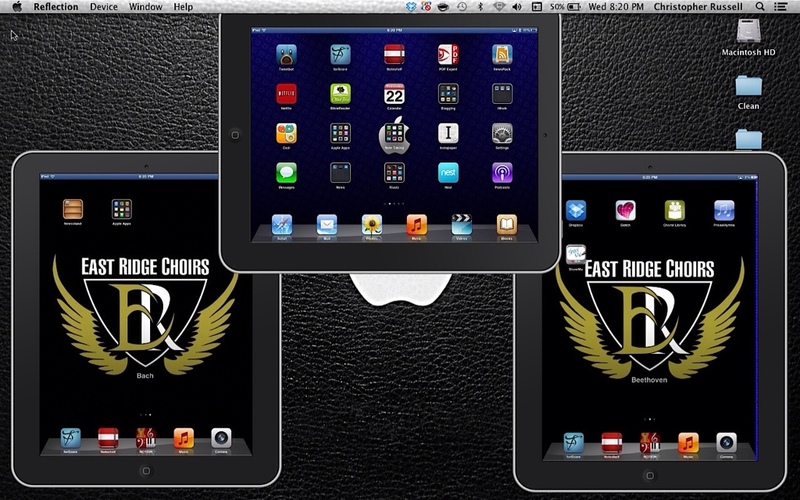 You are a teacher in a 1-to-1 iPad school, and you want the iPads of multiple students to appear on your screen at one time (an Apple TV only allows one connection at a time). In fact, you purposely don’t want students to be able to bump each other (or you) off the projector. You have have a widescreen projector, interactive white board, or TV, and you dislike the Apple TV mirroring circumstance that displays all presentations and apps in 4:3 format. Reflection can let you use the entire screen, even though the iPad remains in 4:3 format on a widescreen. You are a teacher who would use two iPads, perhaps one provided by the school and one that is personal (this would not be unheard of). One would act as a document camera, the other would run a presentation (e.g. Keynote). You are a presenter that presents in locations where the condition of wi-fi is known to be bad, expensive (Here in Minnesota, it is $3000 an day to get wi-fi at the convention center–no kidding), or just unknown, but you know you want to use your iPad to present wirelessly. If you find yourself in any of these situations, this set-up may be for you. Just a note: if you have no Apple TV or no MacBook, and you want to use wireless mirroring, the Apple TV is the less cost effective route. The MacBook could be a $1000 solution to a $100 problem (But then again, you would have a MacBook). And be aware that an Apple TV, as of August 2012, will not connect to an AdHoc Network. So if you think you could use a MacBook to provide a network between an Apple TV and an iPad…nope, that WILL NOT work (emphasis intended). There are two approaches to using a MacBook and Reflection. One gives you Internet on the iPad, the other does not. Let’s begin with how to use Reflection with an AdHoc Network without Internet on either device. Make sure your MacBook is connected to a projector or large LCD TV. 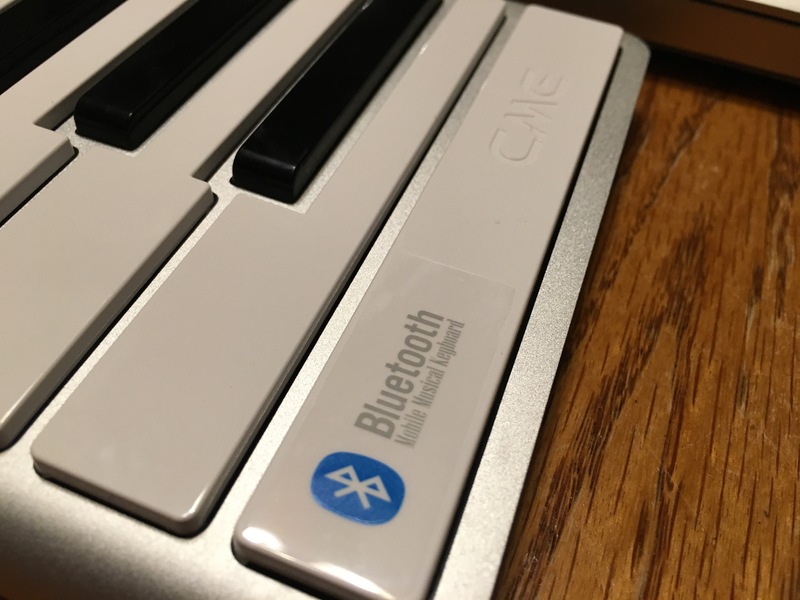 Make sure your MacBook is connected to your audio. Set up an AdHoc Network. 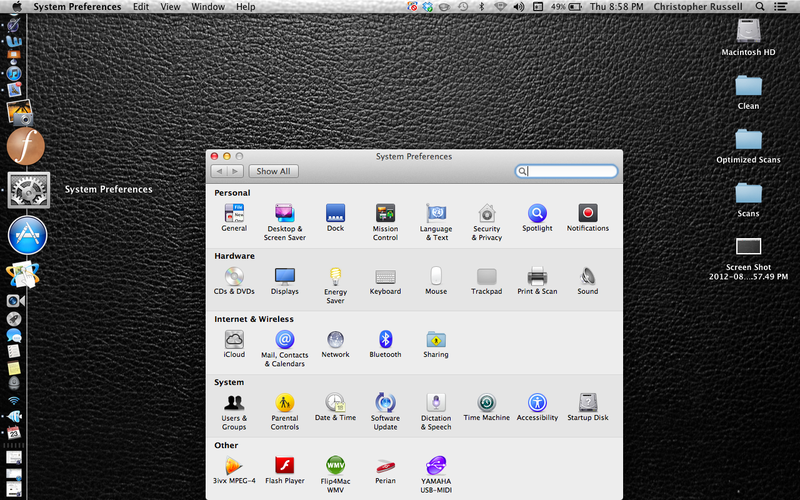 This is ridiculously easy on the Mac. Go to the Wi-Fi symbol at the top of your screen, and click it. 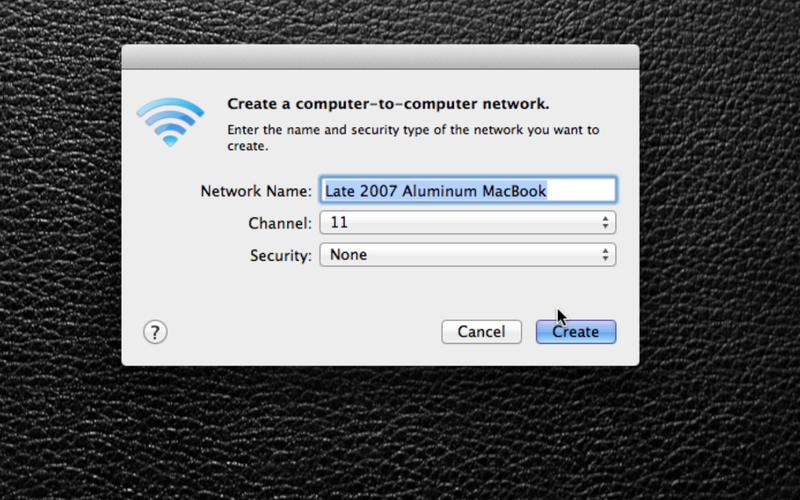 Select “Create Network…” Then give your network a name, select a channel (you may want to check with the IT staff in your building, as you might want to chose a different channel than what your school broadcasts,: and then click “Create.” You’ve now made an AdHoc network. 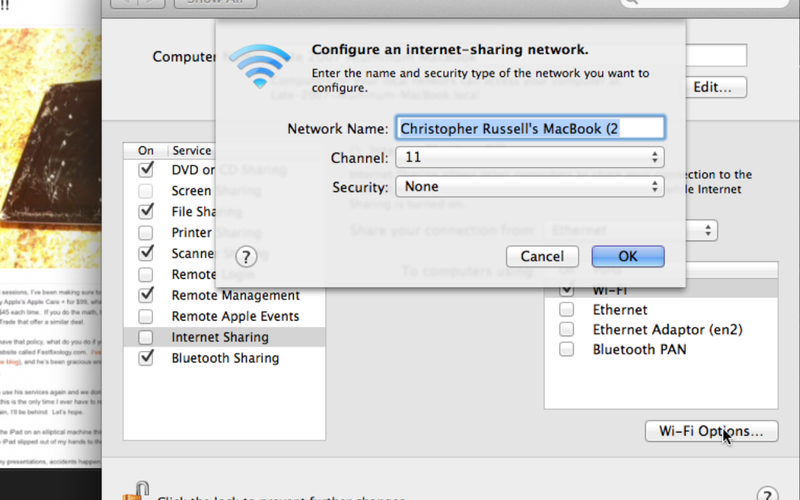 If you link to this network, you can communicate between your MacBook and other devices. Be aware that you may need to recreate this AdHoc Network every day you want to mirror. That’s okay…it takes about 5 seconds to create an AdHoc network. If you need to keep kids out of the AdHoc Network, make a password (this takes more time). 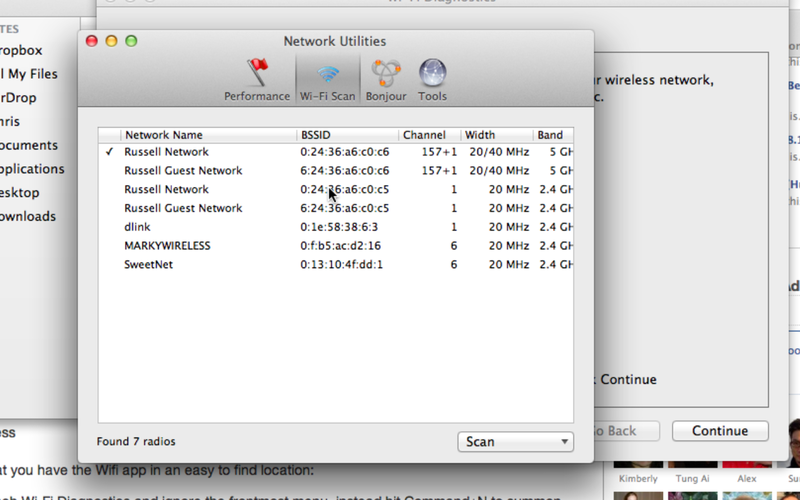 And if you need to use your Mac to find an open channel, Mountain Lion now includes a wireless scanner (see http://osxdaily.com/2012/07/31/wi-fi-scanner-mac-os-x-mountain-lion/). For example, there are a number of routers near my home; the AdHoc’s preference of Channel 11 seems to be a good one to work with. Even hidden networks should show up with this service. If you avoid broadcasting on the school’s (or convention center’s) wireless, things will just be better. 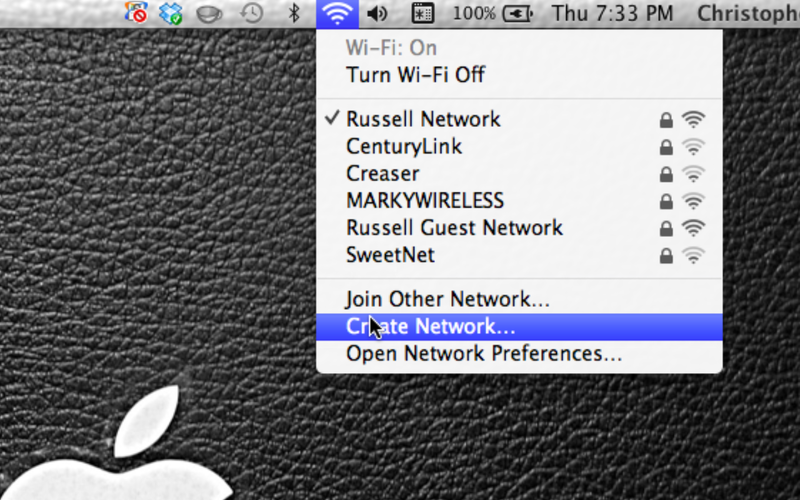 A wireless scan with the new Mountain Lion utility. Try to choose a clear channel for your AdHoc network. 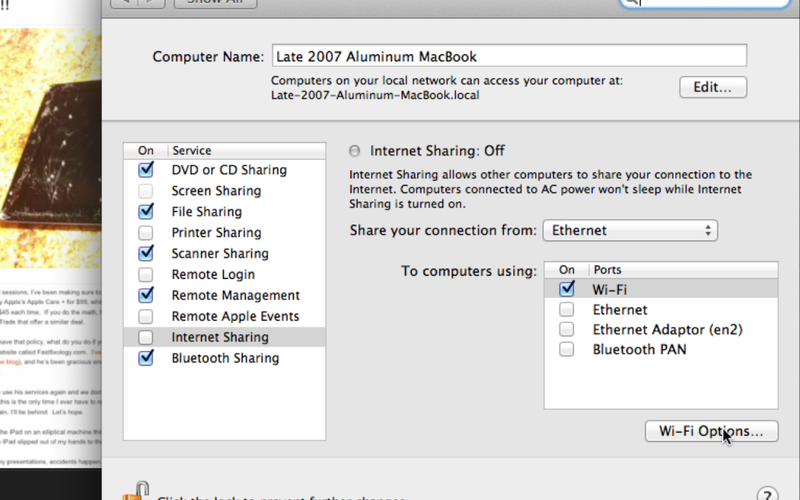 Take your iPad, go to Settings, choose “Network,” and then select the AdHoc Network you created on your MacBook. Double Press the iPad’s Home Button, or swipe up with four fingers from the bottom of the iPad. This brings up the quick switcher bar on the iPad. Swipe the quick switcher bar to the right. You should see your normal audio controls, plus the AirPlay symbol. 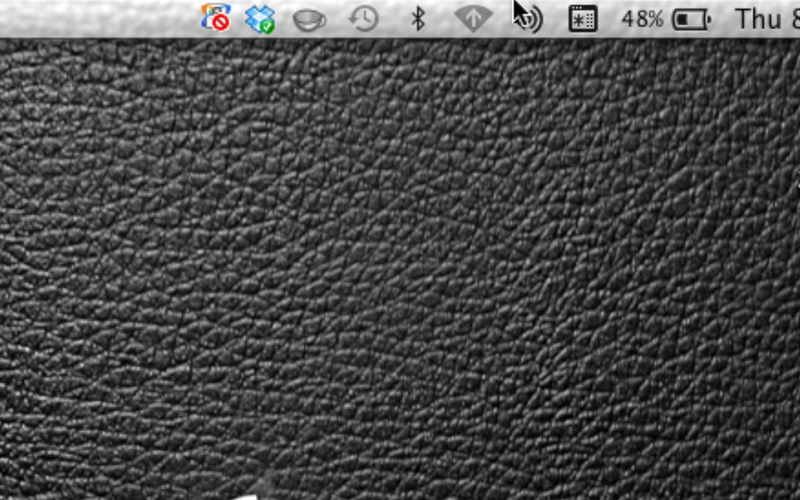 Select the AirPlay symbol, choose your AdHoc connection, and select “Mirror.” The iPad should appear on your MacBook. Connecting the iPad to AdHoc Step 3: Swipe the Quick App Switcher to the right to reveal the audio controls and AirPlay Symbol. The AirPlay symbol will only appear if there is an AirPlay receiver on the network. Did you start Reflection? 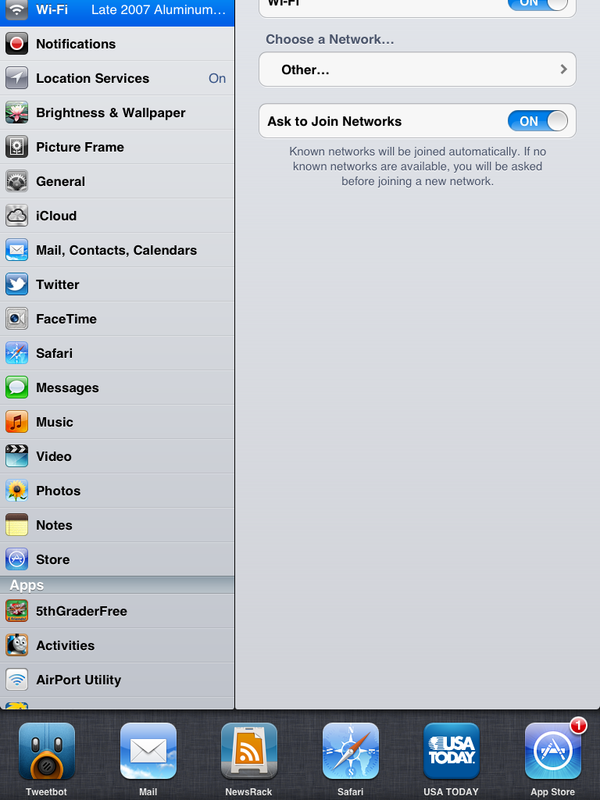 Connecting the iPad to AdHoc Step 4: Press the AirPlay icon, choose the AdHoc Network. Want complete sickness? If you are running Mountain Lion on a newer Mac (unfortunately, my new school MacBook is limited to Lion by our district, so I cannot demonstrate this), you could also send a MacBook screen via AirPlay to another MacBook running Reflection. If you have a MacBook and an iPad 2 (or newer), Reflection certainly seems (at least to me) to be a indispensable tool that can make up for a lot of technical shortcomings in a room. Reflection gives you a fifteen-minute trial period (perhaps multiple sessions)–try it today! One final thought…if you are planning on using the iPad’s camera feature to project to Reflection as a Document Camera, turn the Auto-Lock feature OFF. Otherwise your iPad will turn off while you are presenting, and you will have to reconnect the iPad to wireless mirroring. Now, to mirror to Reflection with Internet, the steps are a little different. Make sure your MacBook is connected to a live ethernet connection. 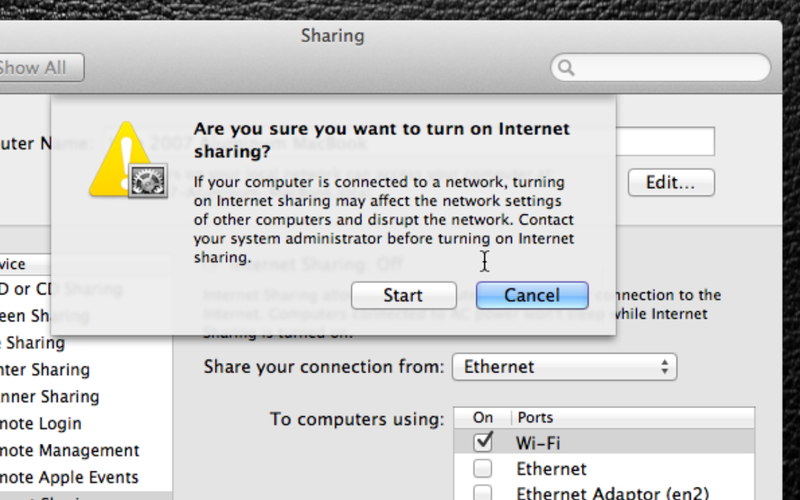 Reflection with Internet to iPad Part 2: Choose “Internet Sharing.” All the basics should be already checked (sharing over ethernet to wi-fi). Reflection with Internet to iPad Part 4: You will note that the AdHoc symbol is different…it now shows that it is sharing Internet. 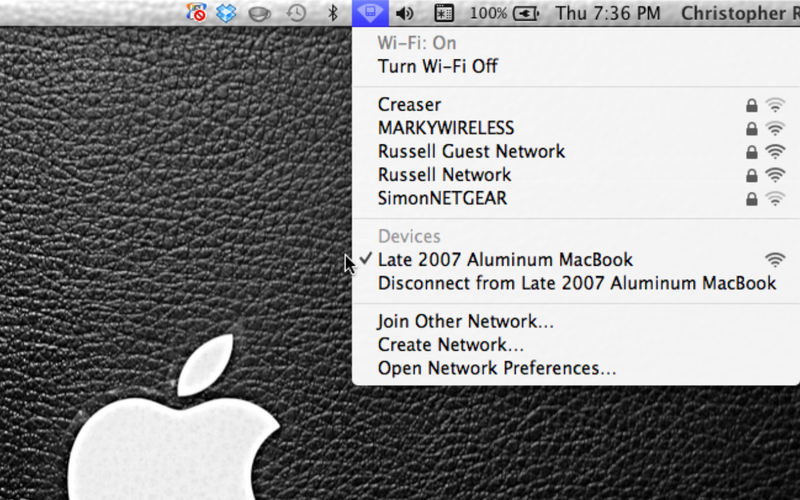 You can now attach an iPad to this MacBook-generated network, mirror to reflection, and have Internet access. REMEMBER: you need the MacBook plugged into a live ethernet connection for this to work! 5. 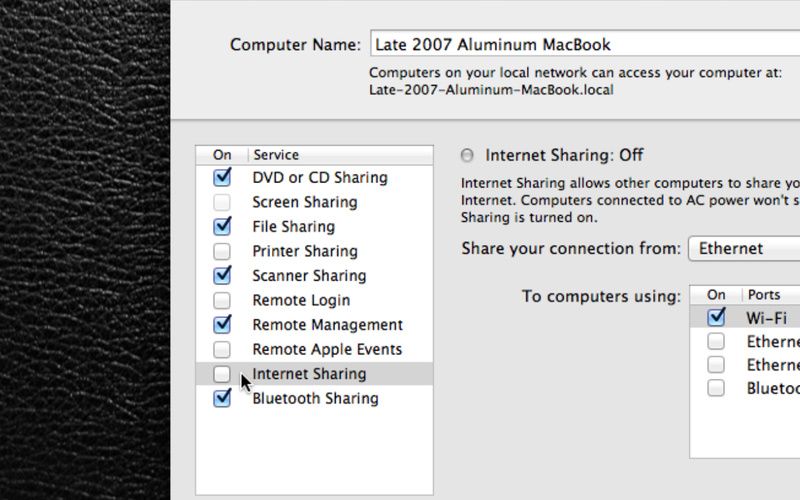 If you find that you wanted to change the name of the Internet Connection, you can do that in the “System Preferences” “Sharing” area, on the lower right hand side. 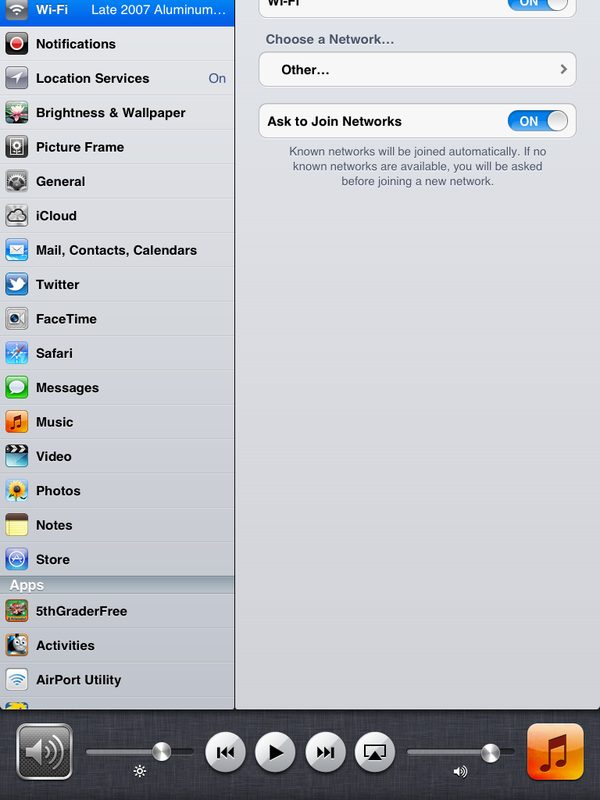 Reflection with Internet to iPad Part 6: We’ve seen this box before…with the creation of an AdHoc network. Now it applies to the name of the shared Internet connection. 6. From this point, go back to the 4th step (starting Reflection) and follow the rest of the AdHoc guide to get iPads mirroring with AirPlay. I apologize for the length of this post, because it is actually very easy to set up AdHoc or Shared Internet networks with a MacBook…I just wanted to make sure the pictures supported the text. Just in case, I created a video as well. I used QuickTime, Display Recorder App (no longer available), and iMovie on my MacBook to make the video. I ordered the Kanex ATV Pro the day it was announced (on 9 to 5 Mac), and it arrived on Monday morning, allowing me to make a short video of the device in comparison to the View HD HDMI to VGA converter I had purchased from Amazon last fall. Initial thoughts: it’s a small unit that requires no additional power (the View HD and Monoprice units require power). It makes things easier in general for mirroring from HDMI to VGA. 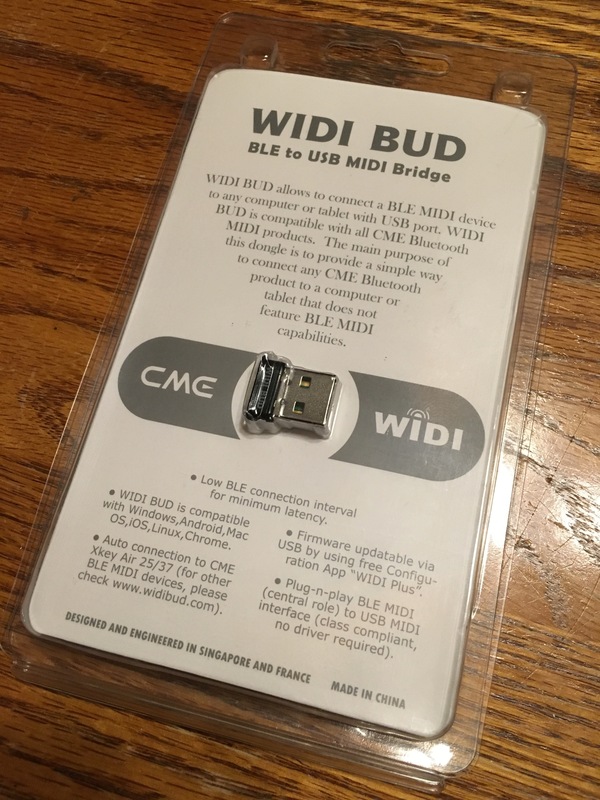 I’m not sure if this will work for all HDMI sources, but at $59 (plus shipping) it certainly seems to be a great option for education. I’ve been using the device since installation on Tuesday morning, and everything continues to work. Conclusion: recommended accessory. It’s the device Apple should have already made for education.